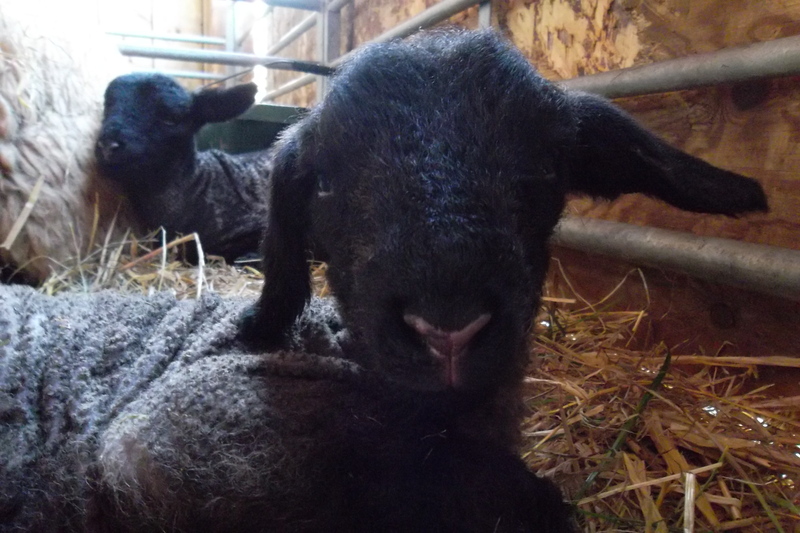 Below – The Lleyn lambs born at the beginning of April, along with one of our cheeky black face lambs! 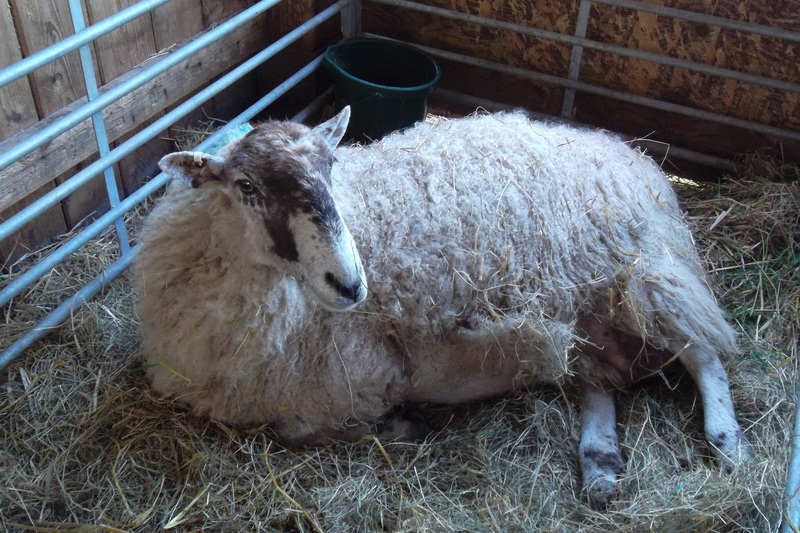 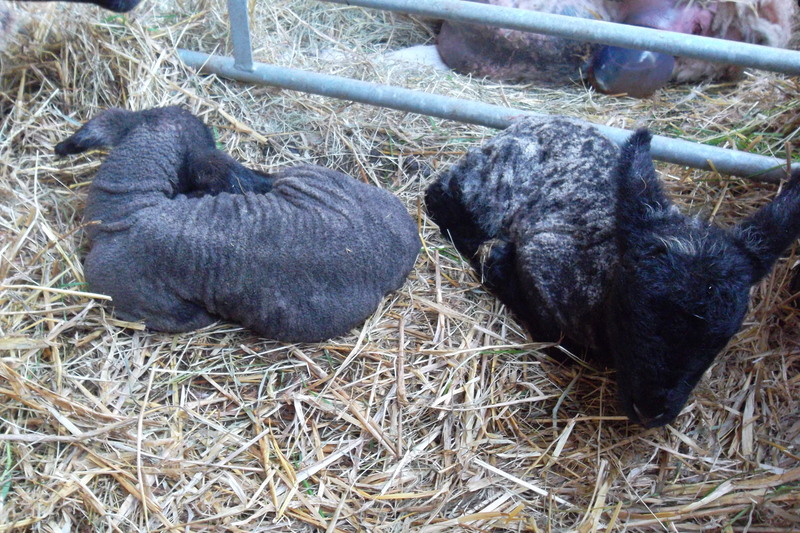 Wednesday 2 April 2014: Our two young Lleyn Ewes have today given birth to single lambs. 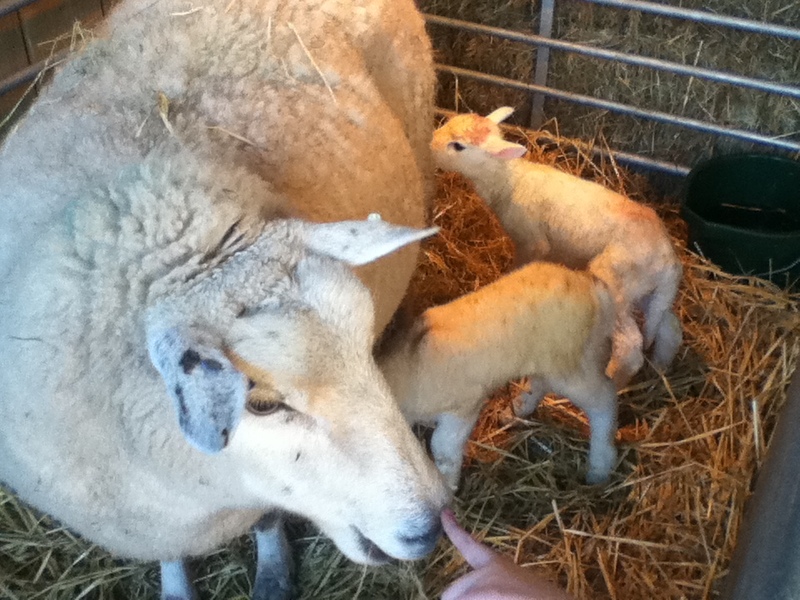 They are first time mums and are doing what Ewe mums do naturally. 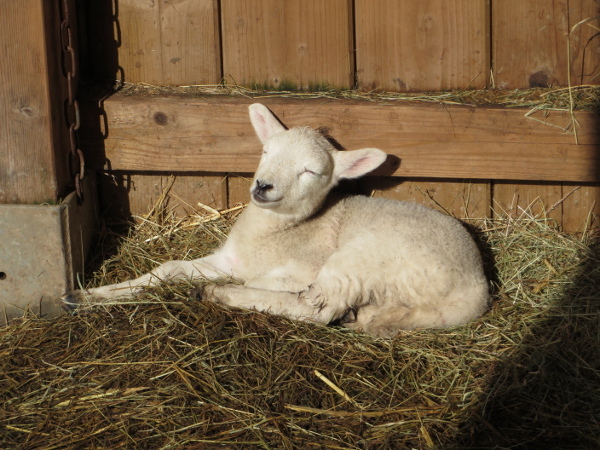 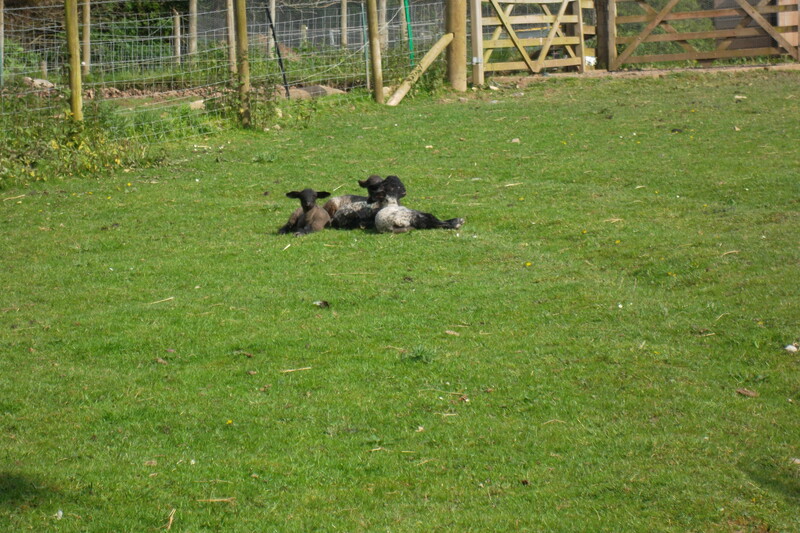 The first lambs born a couple of weeks ago are out in the field and enjoying the spring sunshine, springing around and incredibly playful. 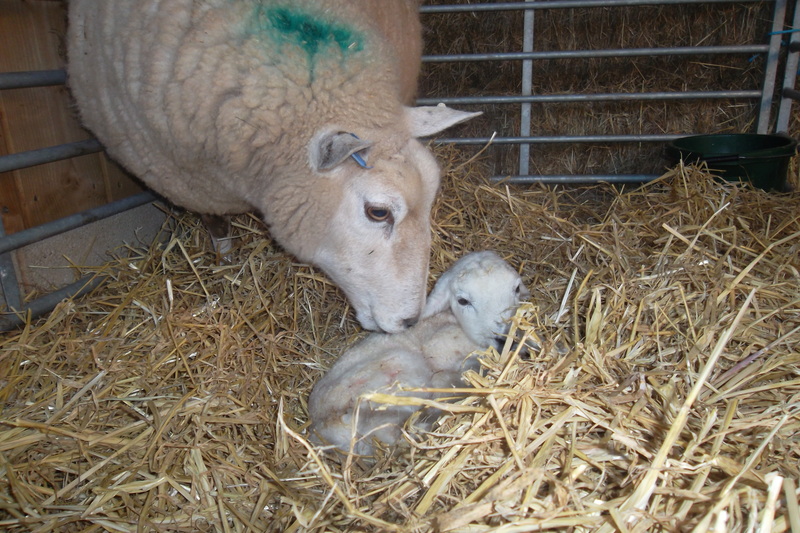 On Tuesday 18th March our other Lleyn Ewe finally gave birth to triplets – it was well worth the wait. 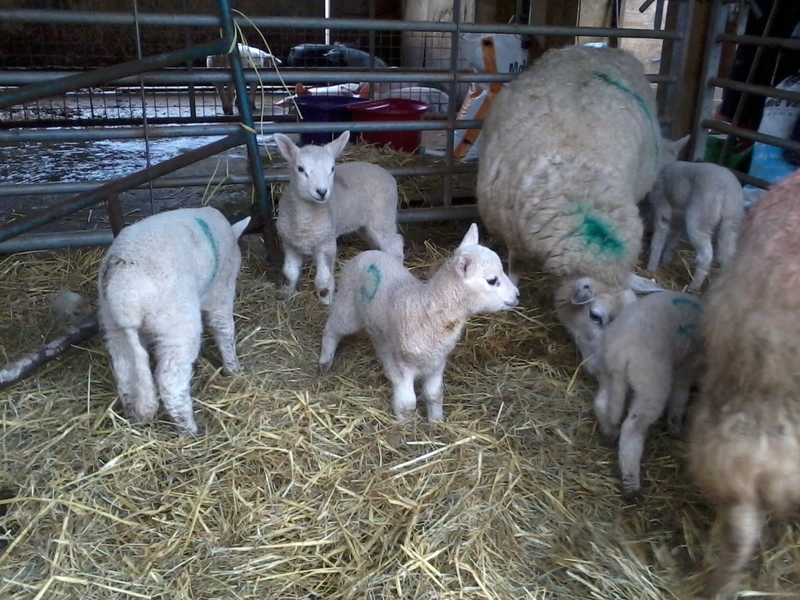 They are beautiful lambs and mum and lambs are doing well. 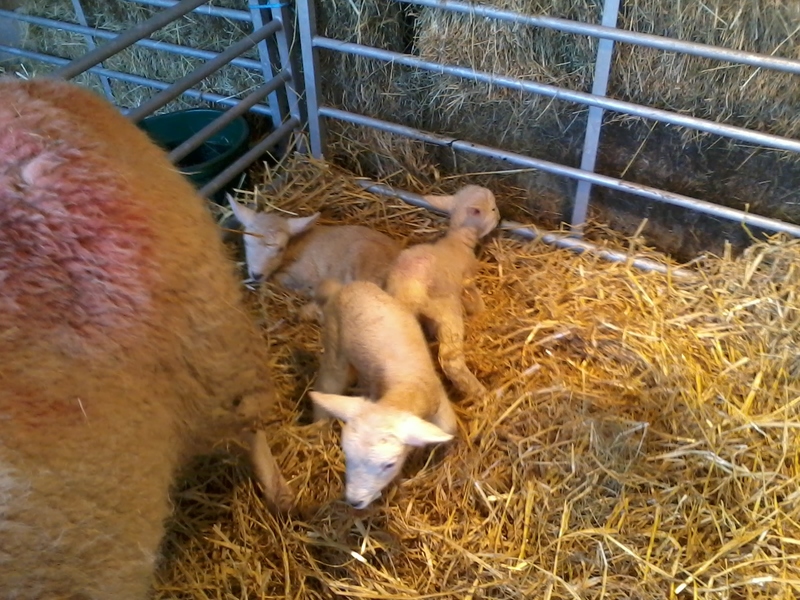 The Lleyn twins born on Sunday are now out in the field “springing” around like lambs do. 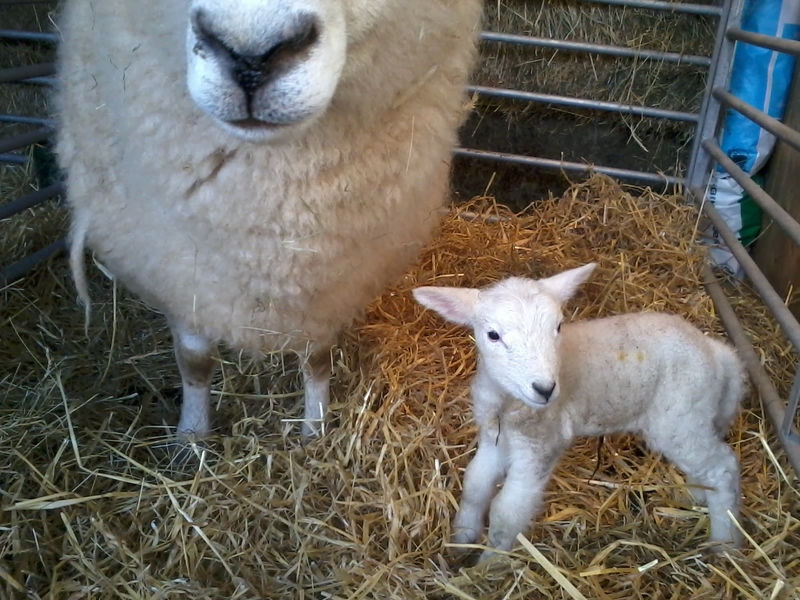 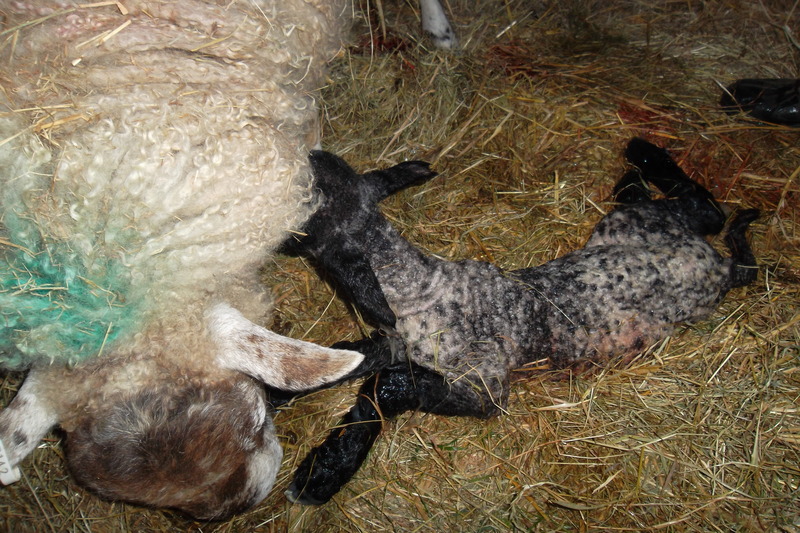 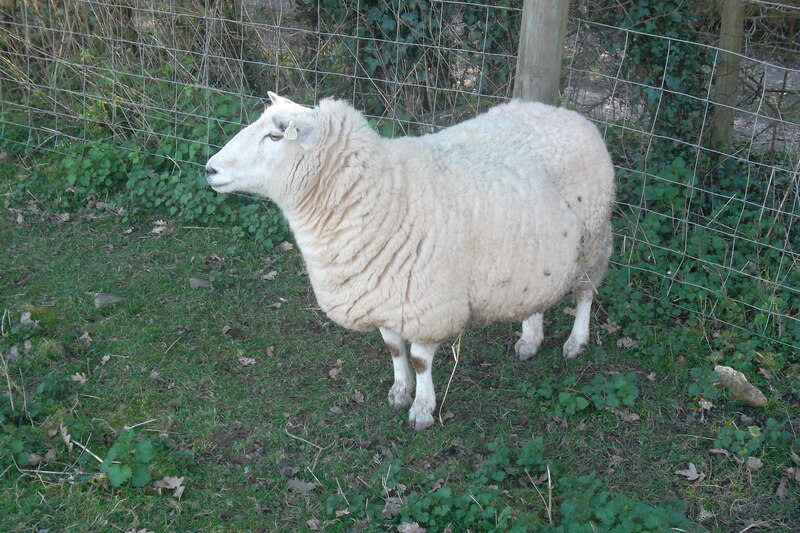 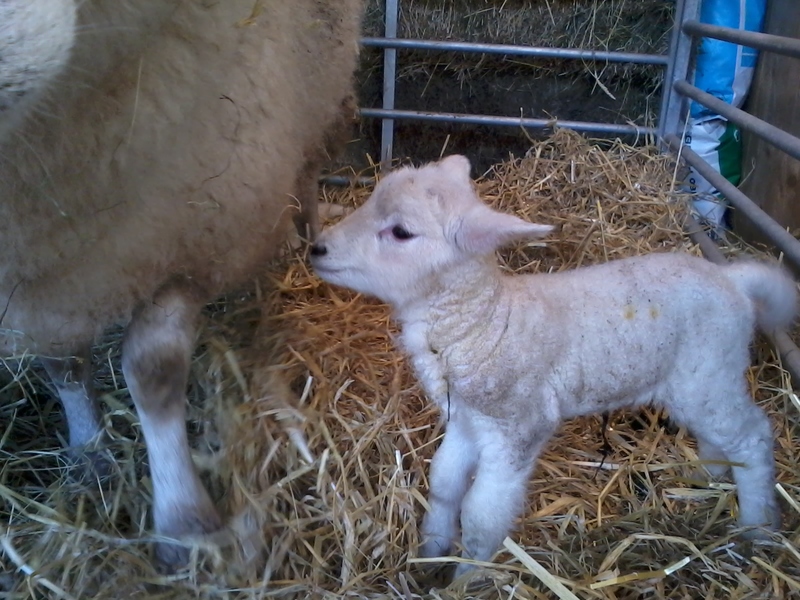 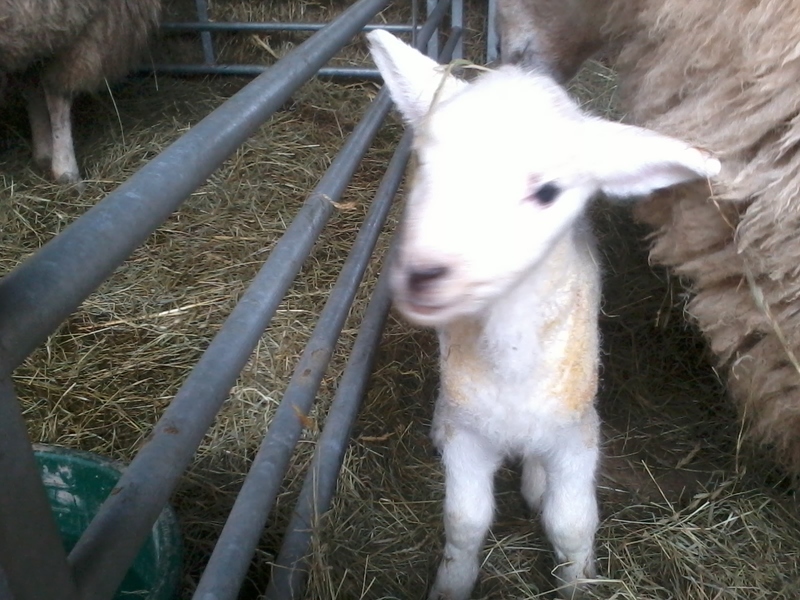 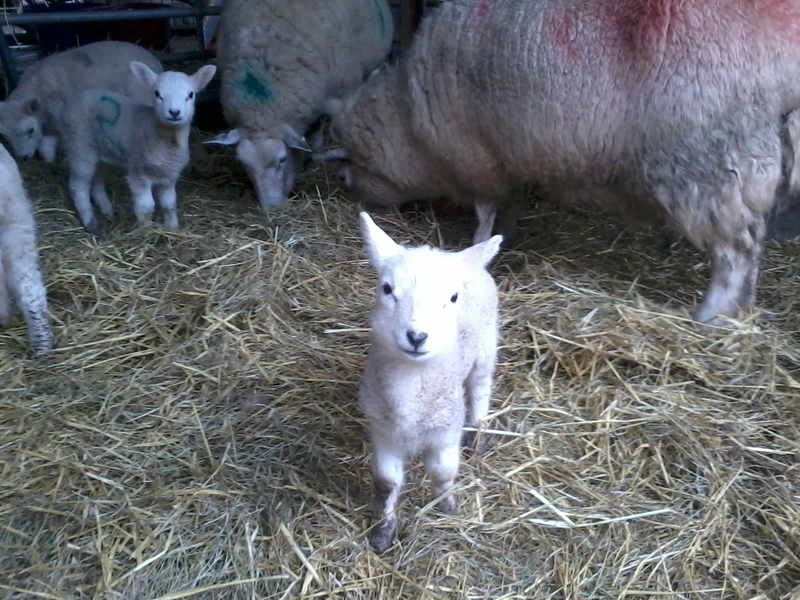 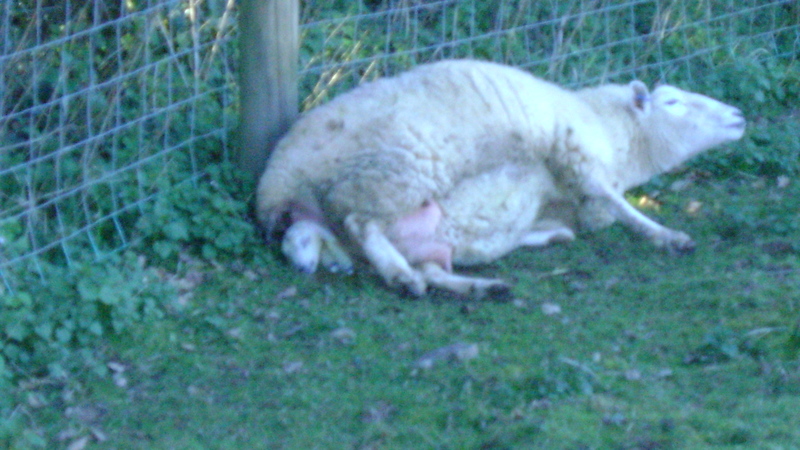 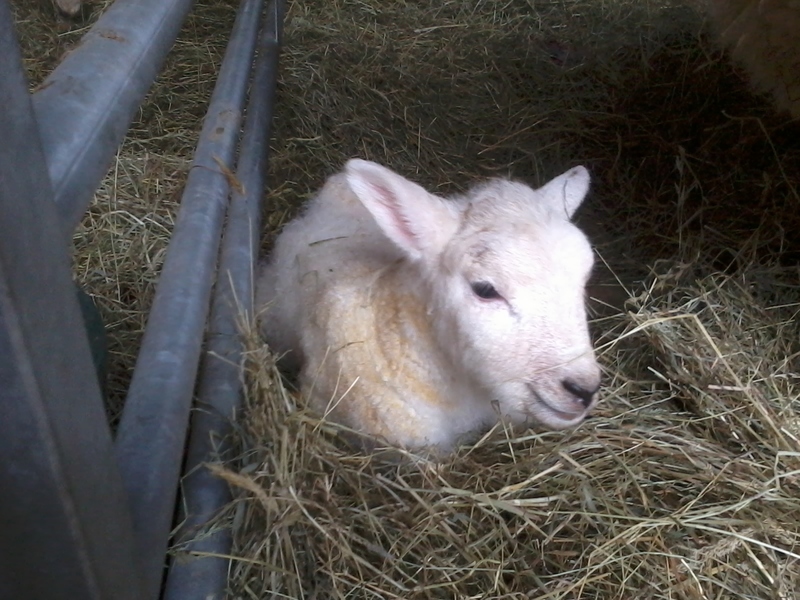 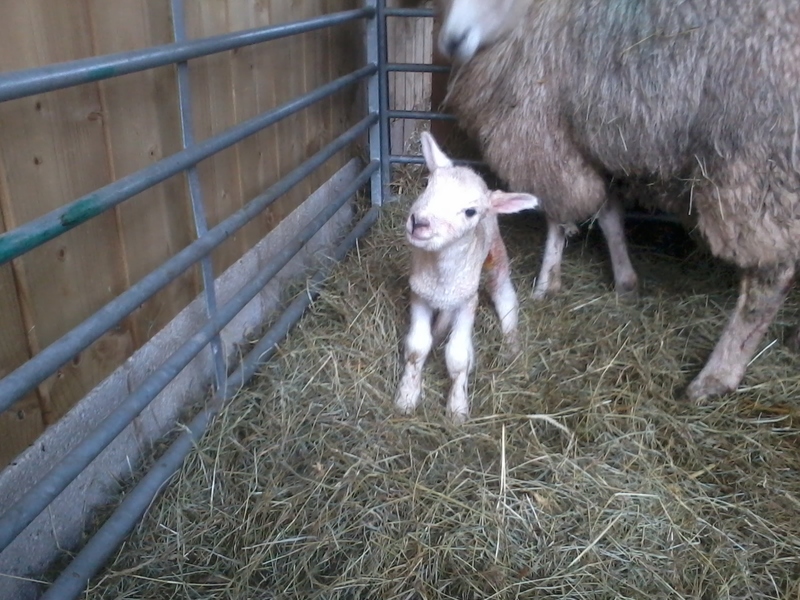 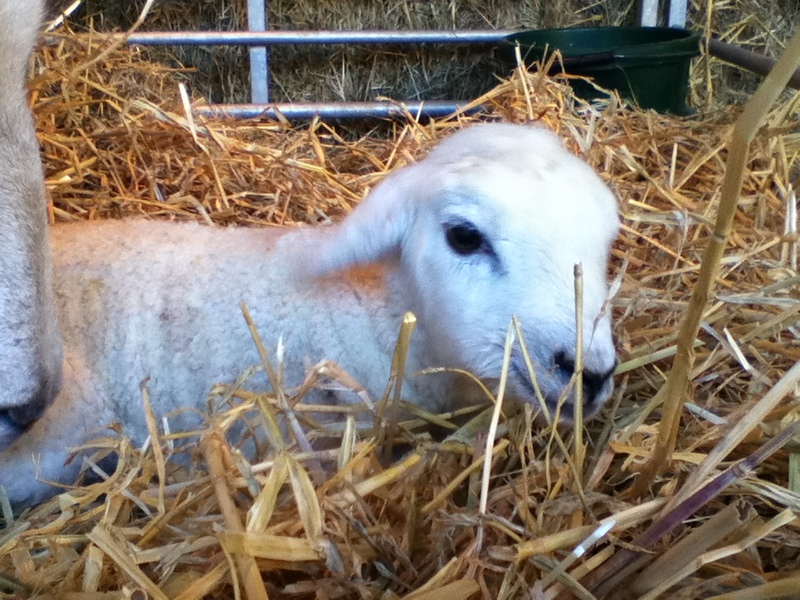 On Sunday 16th March one of our Lleyn ewes gave birth to two lambs, a ewe lamb and a ram lamb. 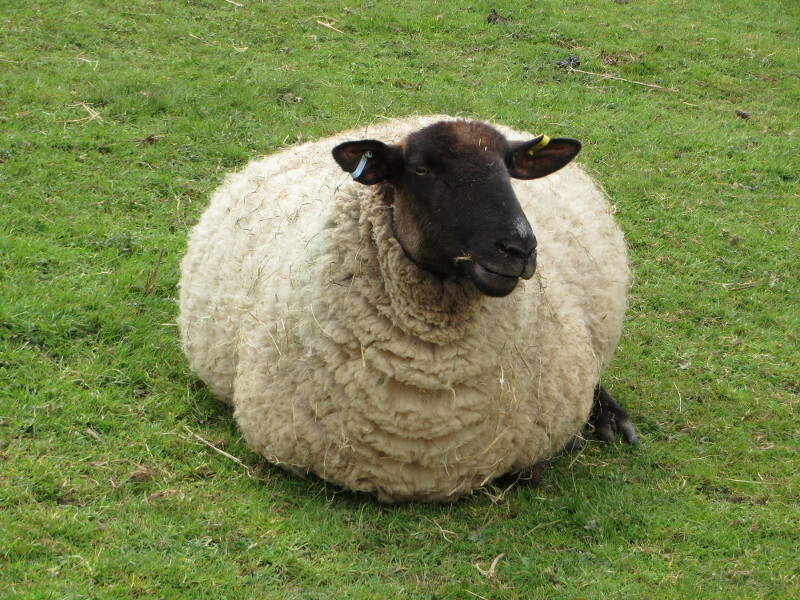 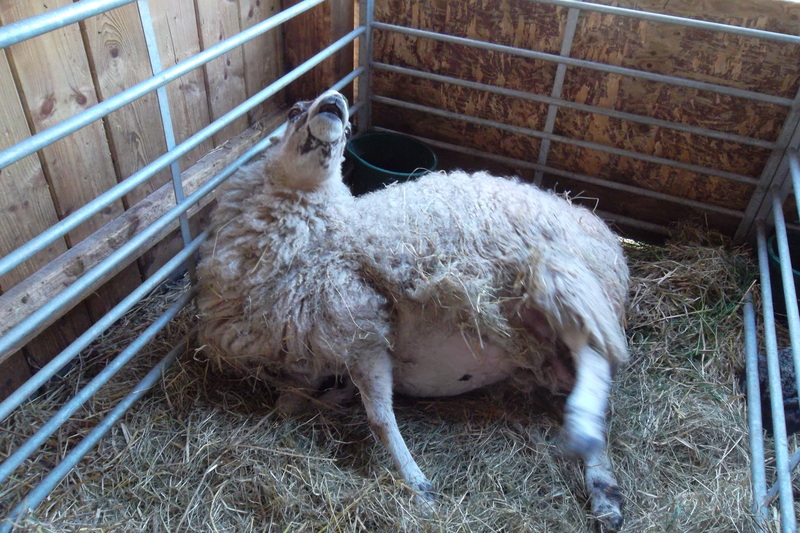 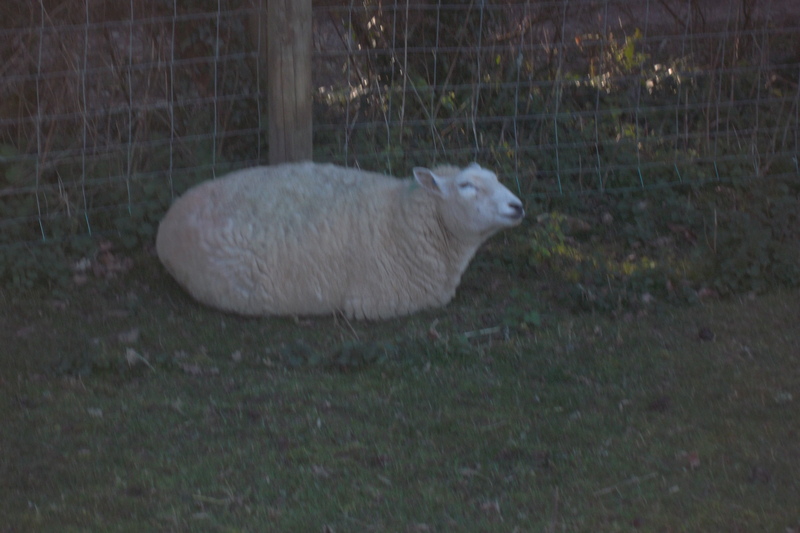 The Ewe minutes from giving birth was very restless, getting up and down, lying on her side, grinding her teeth and looking to the sky! 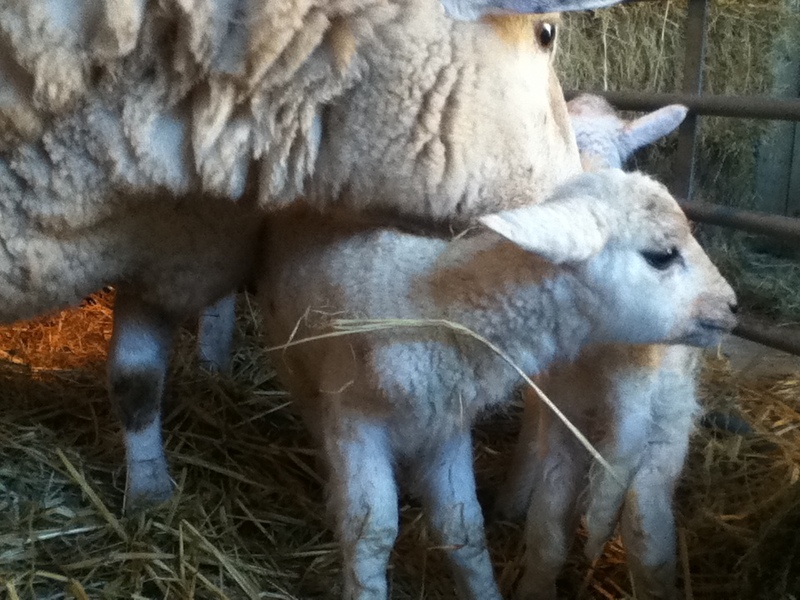 Please enjoy the photographs below.